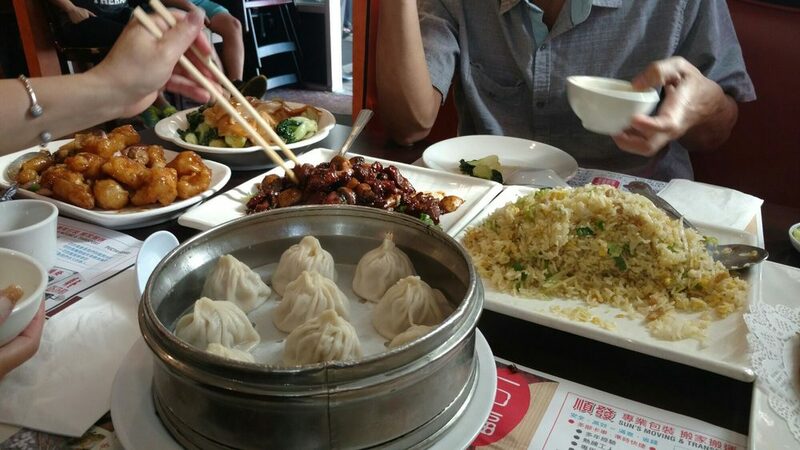 Mama Lu’s Dumpling House – a Gem in the 626 Foodie Scene – Hello, it's Joe. First impression: this place is packed. I called in just an hour before and was notified there was no wait. People come in parties of greater than 10! The location is very small and cramped so patrons start spilling out into the streets. That is a great sign! Second impression: they have a much larger menu than expected. I never realized Mama Lu’s offered a ton of Chinese family-style dishes on top of their juicy dumplings. Last and most important impression: the food is phenomenal. Portion size aside (which is massive), the prices are, on average, $10 per dish, which is below 99% of other Chinese family-style restaurants’ pricetags. You think that would be an indicator that corners are cut, but it’s not true! Overall, the food that small kitchen grinds out is 10 out of 10. My parents LOVED it and couldn’t stop raving about it while we were still eating. -juicy pork dumplings: my dad wanted to try the XLB’s from here to compare to the Din Tai Fung in Taiwan. Nowhere as good, but still very juicy. Read my take on Taiwan’s DTF here! -spicy wontons: these are special and made fresh. it has that Szechuan peppercorn loving. -snow pea leaves: with garlic. Fresh! The go-to vegetable dish. -braised tofu in brown sauce: so juicy, can’t wait to eat this again. So much flavor and mushrooms galore. -sweet&sour chicken: that crispy crunchy texture is perfect and the sauce was bright! Don’t even try comparing it to Panda Express! -steamed fish: very fresh, and I love the amount of shredded ginger. Typical dish you’ll find at Chinese restaurants but you can’t beat the price here. To go order of beef chow fun – this was for my brother waiting for us at home. Didn’t get a taste, but he said the beef was soft and tender and the noodles were the right amount of chewy! For 7 dishes and a few bowls of rice, the total was $74 including a 20% tip. That is a freaking steal. Every dish was a culinary delight and my parents were happy – the most important thing! And yes, we had a ton of leftovers which meant delicious lunches the next day… or second dinners? Since our first visit, my parents and I have come back to Mama Lu’s on an almost weekly basis. It’s a tried and true spot and deserves to be on rotation for our Chinese restaurants! 626 and Asian food – name a better duo, I dare you. Pingback: A Day Trip to Santa Barbara from Los Angeles – Hello, it's Joe. Pingback: Flab to Fit: 5 x 5 x 5 – Hello, it's Joe.